To foster a vibrant and creative Philadelphia, we support a variety of its arts and cultural organizations, educational experiences that increase student access to the arts, and development of high-quality public spaces as platforms for community and cultural expression. Philadelphia has a unique arts and culture sector that is essential to the vibrancy of the city and the backbone of creative expression in the region. A rich, diverse cultural sector reinforces the city’s position as a great place to visit and live. To build on this identity, promote artistic excellence and protect the long-term viability of Philadelphia's artistic assets, we must ensure that its arts organizations have the resources they need to thrive. To support the region’s arts and cultural sector, we provide flexible working capital through unrestricted, core organizational support, so that arts groups have the confidence and resources to pursue their missions and produce innovative, high-quality work. 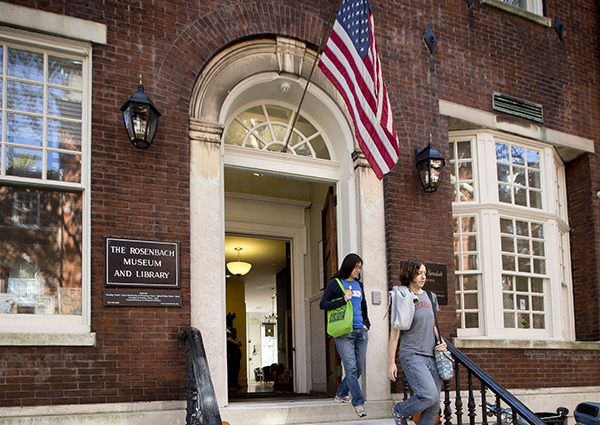 Recognizing a need to better serve and build its audiences, the Rosenbach Museum approached the William Penn Foundation about support for a merger with the Free Library of Philadelphia Foundation. As two organizations with similar missions, both felt the merger would facilitate financial strength, visibility and audience-building beyond what either could achieve individually. 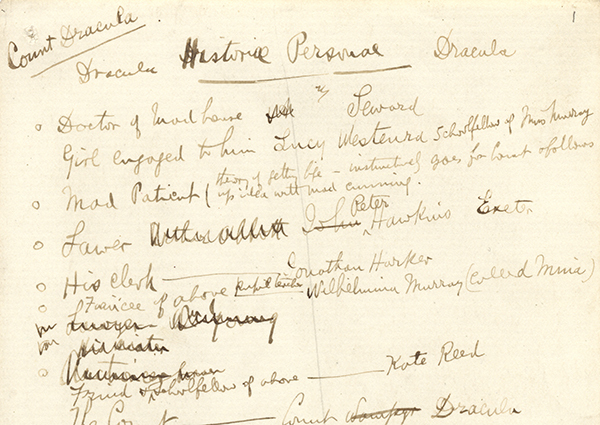 In its efforts to engage audiences in new and enhanced ways, the Rosenbach gained a strong partner in administrative, financial and development work, while exposing its collections and programs to the Free Library's larger audiences. The merger created one of the world's most significant collections of rare books, manuscripts and Americana, and has established a world-class cultural asset in Philadelphia for residents and visitors alike. 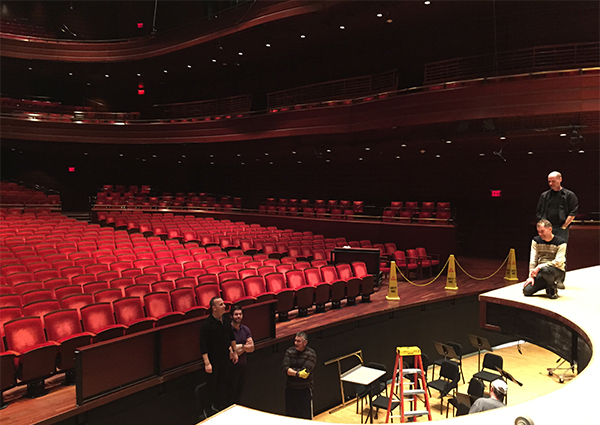 As the Philadelphia Orchestra continues to bring the world’s greatest music to its home city, it approached the William Penn Foundation to help support four collaborative performances of Leonard Bernstein’s Mass: A Theatre Piece for Singers, Players and Dancers in spring 2015. Rarely staged as initially conceived, Mass involves a large pit orchestra, two choruses and a boy choir, a Broadway-sized cast, a ballet company, and marching and rock bands. To realize the piece, the Orchestra collaborated with outside partners and leveraged the skills of others to enable local audiences to experience Mass as it was originally produced in 1971. Mass, which explores the role of religion in modern society, advanced the Orchestra’s strategic initiative to reach new audiences and identify new resources through collaboration. To heighten audience engagement, the four performances were complemented by multidenominational discussions, led by religious leaders of various faiths, about religious freedom. 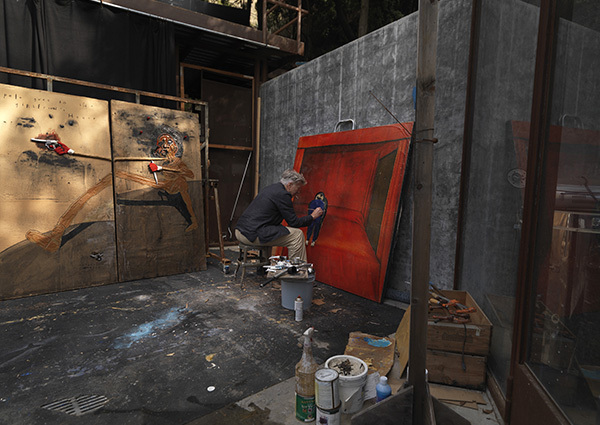 David Lynch, an artist and filmmaker who studied at the Pennsylvania Academy of the Fine Arts (PAFA) in the 1960s, attributes his time in Philadelphia as having fundamentally shaped his vision, work ethic and creative identity. 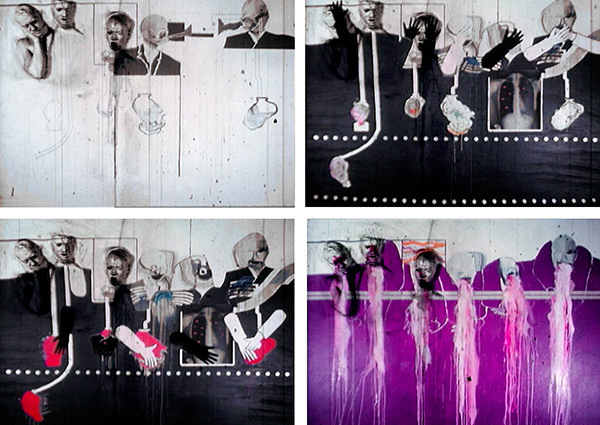 His retrospective exhibition at PAFA in late 2014 and early 2015 featured 165 pieces: a mix of paintings, drawings, film and works in other media. The William Penn Foundation supported the exhibition because it not only recognized the central role PAFA and Philadelphia played for Lynch as an artist, but also enabled audiences to learn about his work and local ties. This marked Lynch's first U.S. museum exhibition, shown only at PAFA because he wanted to highlight its importance and influence. The show is an example of the many experiences that are unique to Philadelphia and its vibrant arts sector. As the Foundation strives to support arts that are unavailable anywhere else, this exhibition provided Philadelphia the opportunity to showcase in Philadelphia one of its own. We see arts education as an essential component of a comprehensive education. Introducing children to the arts at an early age can change how they see the world, and—more importantly—how they see themselves. 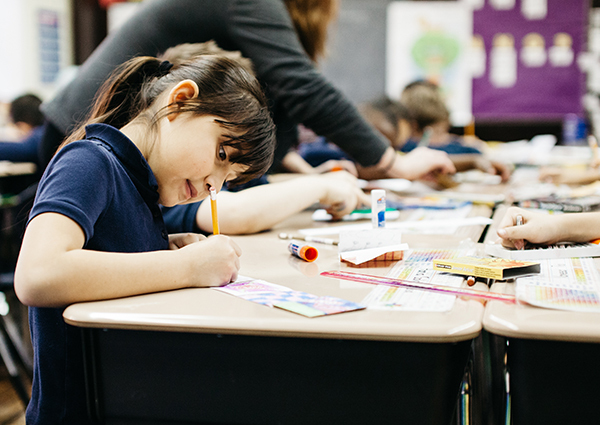 We believe in the intrinsic value of arts education and that every student should have the opportunity to cultivate his or her own creative life through high-quality arts education programs and exposure and access to Philadelphia’s best cultural institutions and organizations. Providing students with the opportunity to develop pro-social behaviors and non-cognitive skills enables them to develop abilities as learners and members of a community, positioning them for future success. 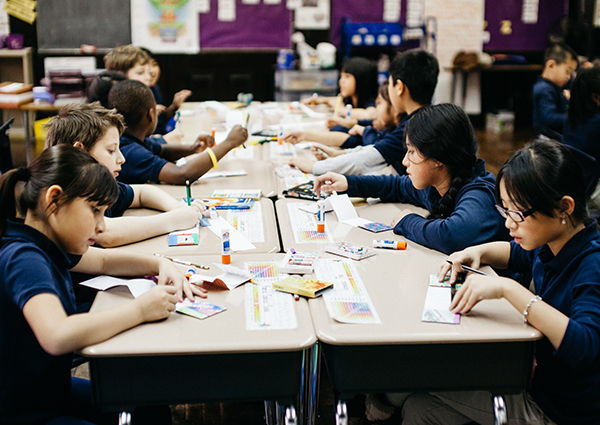 To increase students’ exposure to art as part of their education, we fund arts organizations that demonstrate the capacity to work with economically disadvantaged children, aim to significantly increase the number of Philadelphia’s students with access to arts education experiences, and provide direct delivery of high-quality programs, and/or planning efforts to expand such programs. As part of this effort, we identify best practices and contribute to the broader learning around high-quality arts education. The Foundation is currently embarking on an evaluation to learn more about the socio-emotional benefits for students participating in arts education programs that partner with Philadelphia schools. Studies have shown that integrating art-making into core academic subjects increases student achievement, in both art and related content areas. Fleisher Art Memorial—a century-old community arts organization located in the Bella Vista neighborhood—has extended learning opportunities beyond its campus through its Community Partnerships in the Arts program. 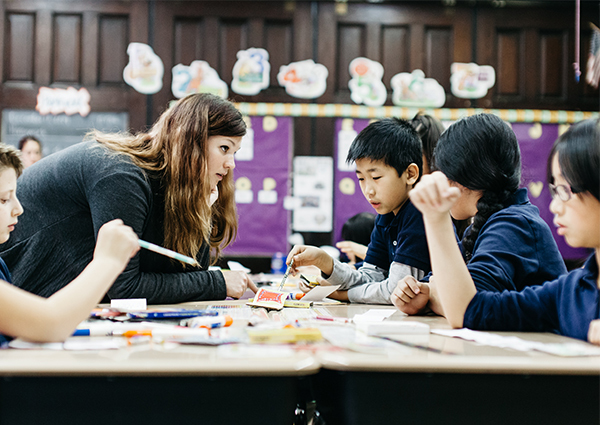 The William Penn Foundation has funded Fleisher for three years of the program, to bring visual artists into 10-15 schools to work closely with classroom teachers developing creative projects that link the school curricula. Fleisher is a center of creativity in its community and Community Partnerships in the Arts stands out as a high-quality arts integration program that exemplifies how a successful arts education program can partner with schools to support students in multiple aspects of learning. 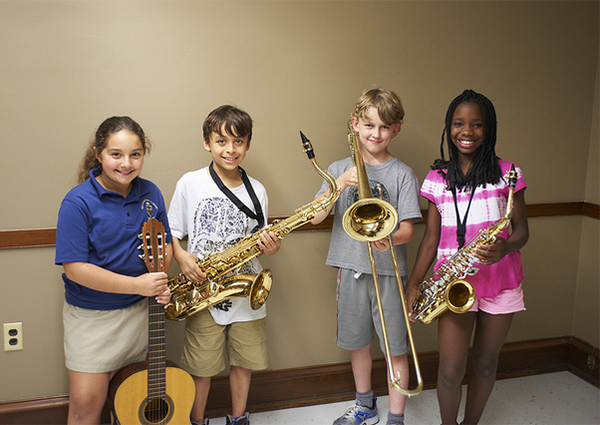 For over 40 years, Musicopia has successfully increased music learning in the Greater Philadelphia region through in-school residencies and assemblies. A 2012 partnership with Dancing Classrooms Philly added ballroom dancing for 5th and 8th graders to its already extensive offerings. 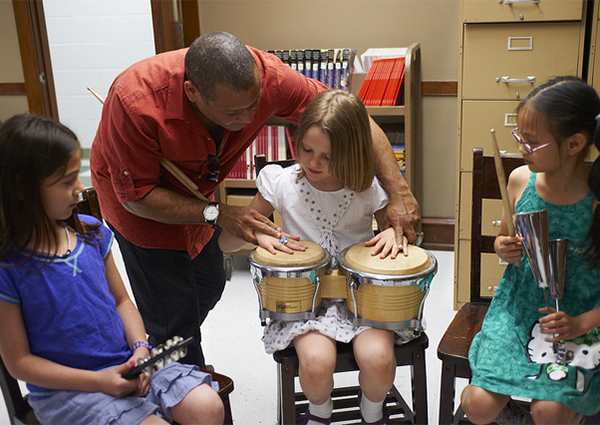 Through its Adopt-a-School program, Musicopia supports music teachers working in Philadelphia schools, supplementing schools' efforts to provide music education to more students with additional instruction, assemblies, technical support and musical instruments. 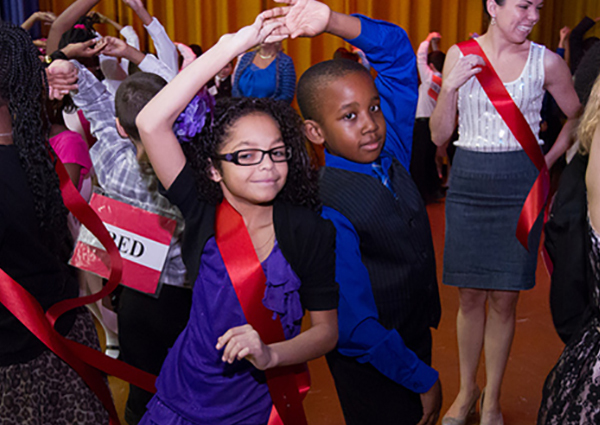 By expanding established school partnerships, Musicopia and Dancing Classrooms Philly seek to deepen schools' existing music offerings and enrich students' opportunities for quality music and ballroom dance education. opportunities to participate in Musicopia’s Drumline and String Orchestra, as well as the All-City Orchestra. These elements, combined with focused evaluation, comprise a multi-faceted program. The goal is that, by 2017, approximately 3,600 students at these 12 schools will have more confidence in their artistic abilities, an increased interest in music or dance and a desire to continue their involvement with the arts. The Wilma Theater created the arts education program WILMAGINATION in 2000, to expose more Philadelphia students to opportunities for learning in the arts. 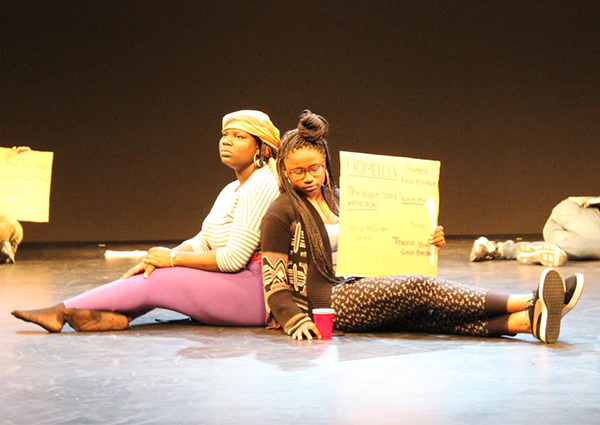 The William Penn Foundation is supporting the expansion of this integrated theater arts residency to bring high-quality theater experiences to students at four Philadelphia high schools. Using a project-based approach that culminates in a student performance, WILMAGINATION develops students' social and collaborative skills as it supports classroom learning. In English Language Arts classrooms, students learn to analyze and interpret texts. 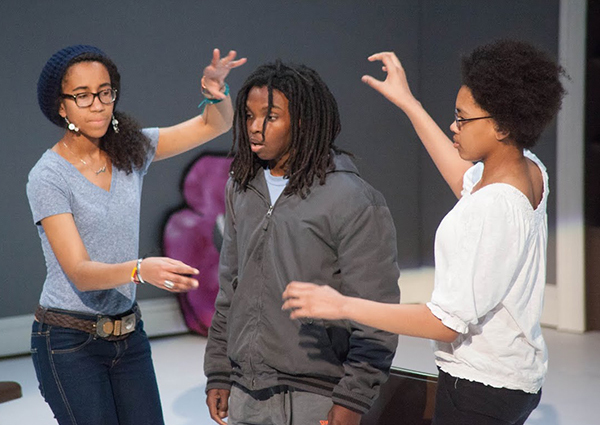 By bringing Wilma Theater teaching artists and professional actors into the classroom, the program provides authentic experiences for students, who learn their craft in conjunction with seeing these same actors perform in main stage productions at the Wilma. By August 2017, more than 900 new students will have participated in the program. 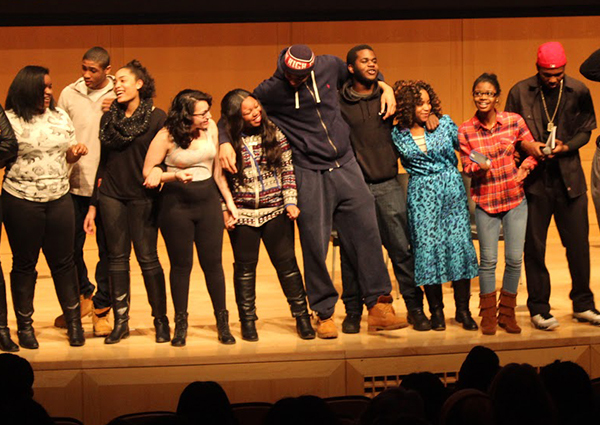 Among the many benefits, students learn skills including playwriting, stagecraft and performance, and simultaneously gain support in core subjects to increase their academic achievement. 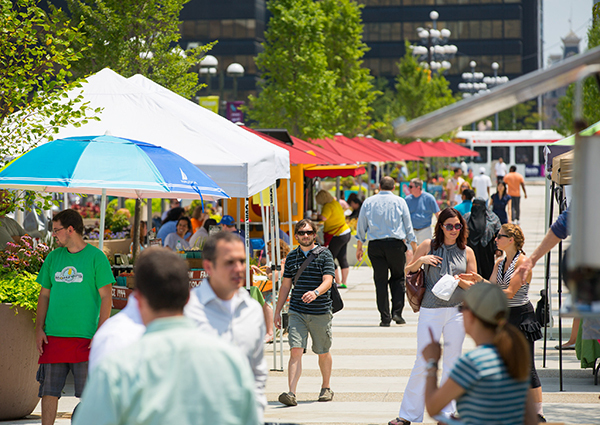 We believe that great public spaces strengthen communities. They are places in which we spend time with family, friends, and neighbors. They can also promote health through physical activity, help children learn through play, enhance appreciation of the natural environment, and offer platforms for cultural expression. Our work seeks to ensure that more people in Philadelphia and Camden have access to great parks, playgrounds, libraries, and other shared spaces in which to live their lives. 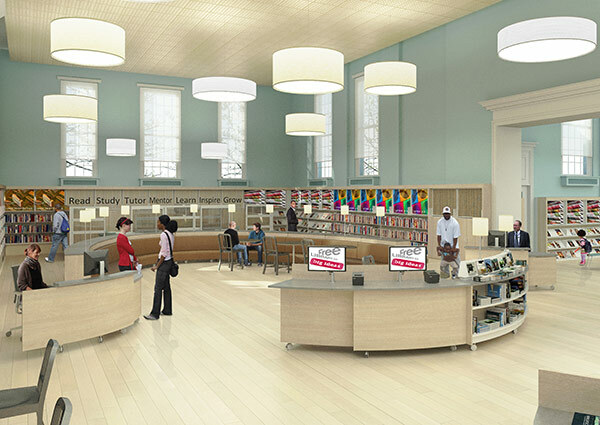 Last year, the Free Library of Philadelphia welcomed more than six million visitors. Thirty percent of those visitors stopped in monthly. Although the Free Library has historically been a hub for learning, reading and research, today it also offers resources and assistance in technology training, social services, job coaching, literacy and education. To support this massive growth of its role in the city, the William Penn Foundation partnered with the City of Philadelphia and the Free Library to embark on a transformational initiative to reestablish the Library as a central resource in every neighborhood in Philadelphia, serving as a portal to learning, public services, economic opportunity, recreation, and community engagement. 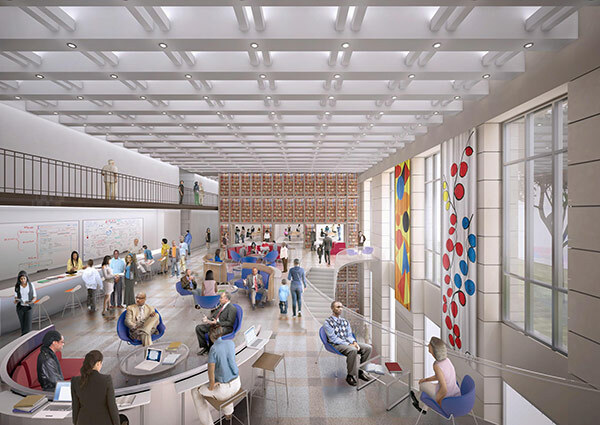 The project involves three key components: the renovation and expansion of the Parkway Central Library, the restoration and modernization of neighborhood libraries across the city, and the strengthening of community partnerships—particularly with the city’s schools—to best meet the diverse needs of all Philadelphians. 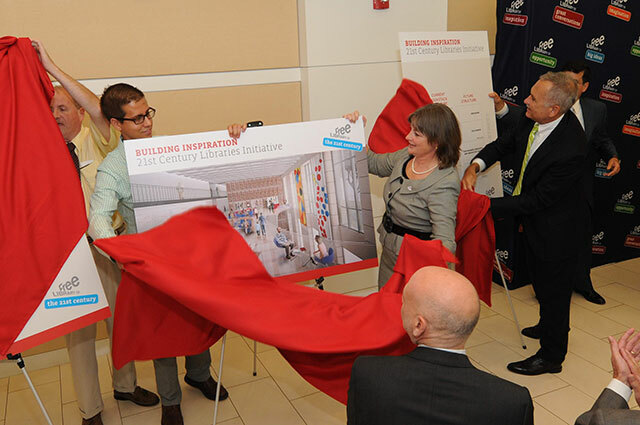 Building Inspiration is an innovative model for the future of library service across the country and the globe—designed to respond to the rapidly changing roles of libraries in our contemporary society and information-based economy. The William Penn Foundation has been intimately involved in helping ensure that—as the Delaware River waterfront evolves from industrial uses to residential and commercial ones—there is new public access to the river. With Foundation support, the Delaware River Waterfront Corporation (DRWC) is implementing the first concrete changes. 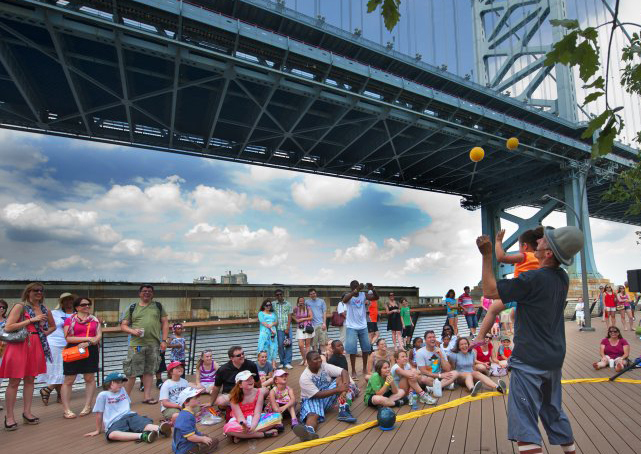 Race Street Pier opened in 2011 with dramatic views of the Ben Franklin Bridge; Washington Avenue Green and Pier, completed in 2014, emphasizes the river as an environmental and natural resource; and Pier 68 opens in 2015 as an active recreational pier. A continuous, multi-use riverfront trail will ultimately connect these pier parks, which are located in three distinct neighborhoods. DRWC has designed these initial improvements as important precedents that set the tone for high-quality public access throughout the riverfront, as private development takes shape. 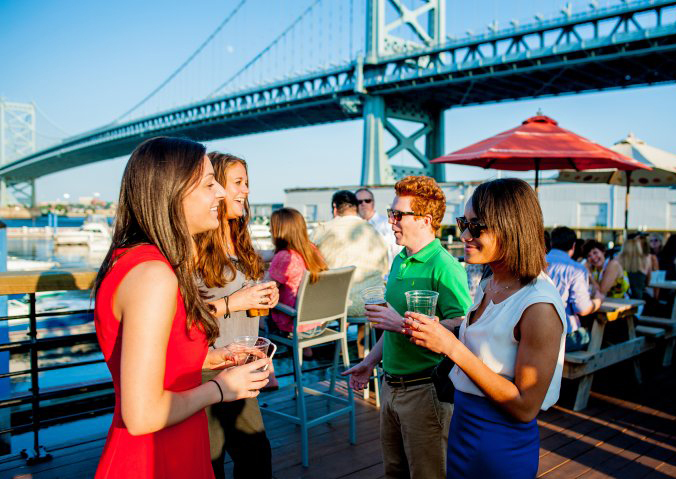 The immediate success of these new public spaces is evident; the piers have attracted more people to the Delaware than the waterfront has seen in quite some time and have also inspired caring for the river. Race Street pier is now one of the most popular citywide locations for outdoor yoga; the number of classes at the pier doubled this year to meet demand. Downstream, during a spring cleanup, over 100 neighborhood volunteers that comprise the active "Friends of Washington Avenue Green" removed nearly 13,000 pounds of refuse from the river's edge. 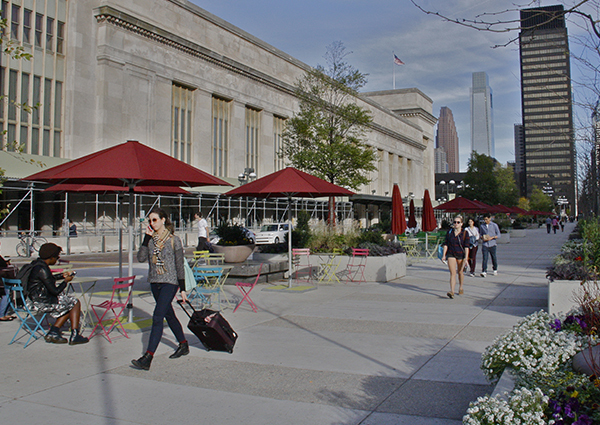 The William Penn Foundation funded an effort by University City District (UCD) to transform an unused, concrete outdoor space on the south side of 30th Street Station into a fun and vibrant gathering place for community members, workers, visitors and commuters. UCD created one of the city's first "pop-up" public spaces, combining low-cost, temporary improvements such as colorful cafe tables, umbrellas and lounge chairs with extensive programming ranging from musical performances, circus acts, food trucks, a beer garden and mini golf. Others have replicated this model in many locations throughout the city. Through comprehensive data collection about visitation and use patterns, UCD has also modified and refined its programming to respond to user interests and needs and to gather valuable insights that will inform the design of permanent improvements to this space. 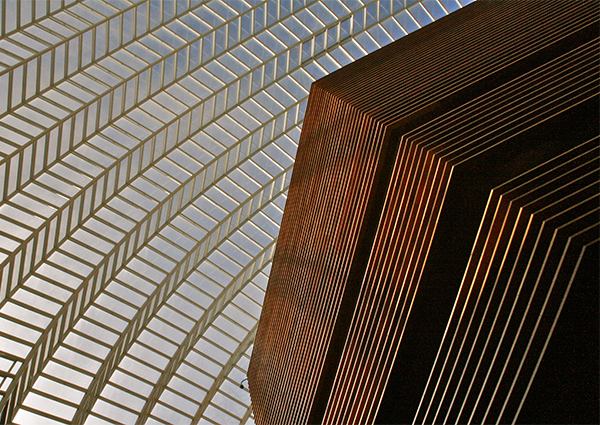 To broaden Philadelphia's exposure to the arts and enrich the community life, we support organizations that strive to bring cultural experiences beyond traditional venues and into public and civic spaces. Using these platforms for high-quality performances and public art can foster creative expression throughout the city, engage new audiences and bring cultural experiences to neighborhoods. As the behaviors and demographics of city audiences continue to change, we support organizations that deliver art in new ways and new places. Our grantmaking in this area provides “risk capital” to allow organizations to experiment with ideas that address the changing cultural landscape and connect with these new audiences in accessible places. The Foundation has invested significantly in efforts to enhance the pedestrian environment along the Parkway, to transform this cultural corridor into a destination and high-quality public space. This includes funding improvements to the Parkway itself, Logan Square, Sister Cities Park and Eakins Oval as well as supporting the many cultural institutions along the Parkway. 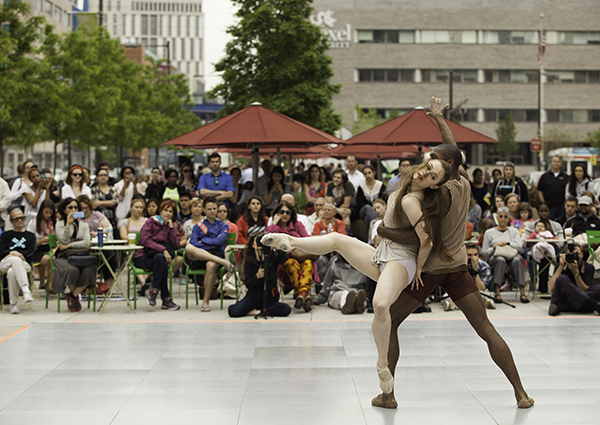 The Foundation funds organizations and projects that ensure cultural opportunities and desirable public spaces are widely accessible to residents and visitors. Prospective grantees are welcome to submit proposals to more than one strategy. Learn more about the Creative Communities grant making process, eligibility requirements and grant making timeline.